The digital currency Bitcoin introduced to the world in 2008 is not just for techies and IT specialists. Mainstream media at times has also reported the cryptocurrency is used in anonymous activism and illicit activity. However, the virtual money Bitcoin is for everyone and is a great protocol to use for brick and mortar businesses and online companies. Bitcoin has a faster settlement time so merchants get paid immediately. Costs for using the digital currency is minuscule compared to the charges associated with credit or debit cards. I´m sure that most of you just wonder, why on earth should merchants and individuals use Bitcoin as a payment option? Nobody ever requested it and with a lack of information how it really works. The question is can Bitcoin be used for good? When we first learned about Bitcoin we didn't know all the excellent attributes of this technology either until our first client came and boom; here we are. Bitcoin can kick your business out of the box right away. By opening an entirely new marketplace, it can uncover a completely new world as an international seller. Merchants typically accept bitcoin because it´s zero to one percent transaction fee is smaller than the typical two to five percent credit card charges. Another advantage of using bitcoin as a small business owner is its capacity for speed. Once a transaction is sent over the bitcoin network, it reaches the receiver and is typically settled within 10 minutes after confirmation. Bitcoin is new and completely technology based, which can sometimes deter a small business away from using it or can help a small business stand out amongst its competition. The popularity of Bitcoin use is growing exponentially. Now you can use BTC instead of credit cards for a number of travel sites, airports and airlines (read more). According to publicly available data, there are now over 10 million bitcoin wallets. Perhaps the most informative statistic of all is the transaction volume: the number of transactions has also grown impressively, from roughly 80,000 a day to more than 200,000 without showing any signs of slowing. Interest over time according to Google trends Bitcoin searches has also has been increasing quite rapidly. According to CNN, a record one billion has been invested in Bitcoin firms last year and venture capital being poured into this industry has continued in 2016. So if someone wants to send you bitcoins, they need your address. You don't have to provide any details or proof who you are in the real world. For those who wish to be transparent business, corporation, or any individual can broadcast who they are and have an open ledger of all their transactions viewable by any citizen in the world. This would give new meaning to some of the behind the scenes corruption with legacy finance institutions and government policy. The blockchain is the underlying technology behind Bitcoin is the most open digital ledger system to date. Literally anyone can get involved and transact with the worldwide digital ledger. Just an internet connection and you are able to make a Bitcoin transaction. All transactions are immutable which can lead to a wide array of other technologies such as smart contacts, timestamped trusts, and Internet of Things applications. With the Bitcoin protocol, there is no bank, government or centralized entity that controls the system. It's all done in this kind of ad hoc fashion and it means no one organization can directly control the money supply bitcoins which is limited to 21 million. This is the first time in history an immutable digital ledger can transfer wealth, assets and contracts without the need for third-party arbitration. The technology is quite revolutionary! Of course, due to the fact the industry is still so young, there can be some disadvantages too. One of the most painful parts is to put your time and learn, how it all works. Every business owner firstly has to understand the mechanics of Bitcoins, how transactions take place, what the exchange rate means... So be sure, before your start using Bitcoin you absorb all you need to know. However, there are some companies such as Coinbase, and Bitpay, which offer merchant services and you don't need to fully grasp the technology. These businesses should be considered a third party platform but they can often convert your Bitcoin into local fiat currency immediately. This takes the stress off understanding and wondering what the exchange rate happens to be. There are excellent resources online explaining the ins and outs of how to use and accept the cryptocurrency. Businesses and individuals can get familiar with Bitcoin technology via Khan Academy video guides and it's FREE. "I use it because I don't have to give billing info"
"I believe in bitcoin because of the technology that eliminates the middlemen and because it allows people to sidestep the central planning and inflation of the government. I spend bitcoin wherever I can. Companies like Purse.io get most of my bitcoin because I can get just about anything on Amazon at a discount. I also spend it at the few restaurants around town that accept it." "Bitcoin could one day allow freedom from the State. It is not subject to manipulation or coercion. It is simply a medium for voluntary exchange." Due to the decentralized and relatively anonymous nature of Bitcoin, it is impossible to draw a random sample and confidently generalize the protocol to the global or English-speaking Bitcoin community. If you want to know more, we found a nice data analysis that explores the structure of the Bitcoin community in terms of wealth accumulation, optimism about the future of Bitcoin, and themes that attract users to the cryptocurrency. Read more about how governments treat cryptocurrency. How can you use Bitcoin currency, what to buy or sell? Glyde -Sell smartphones, tablet computers, MacBooks, iPods, and video games. Sell your items here by creating an account and listing products for sale on Glyde the service is completely FREE. Bitily - Is an Australian registered Bitcoin and Litecoin marketplace and auction site. Posting and listing on bitify is also completely FREE! Charges occur on sold items only. Seller pays 2.5% flat rate or transaction fee (whichever is higher) on sold items across the site. Bitcoinclassifieds is like Craigslist for Bitcoiners. The site is designed for facilitating local, in-person exchanges of goods and services for Bitcoin. You can meet other Bitcoiners in your local city to trade goods or services for BTC. Bitcointalk lists a wide variety of goods, services, and investments. Buyer beware, though: this subforum has been rife with scams in the past, it's best to always use escrow when making a purchase. Bitpremier is a marketplace for fancy goods with very high prices. Since it's mainly a place for Bitcoin rich folks to shop, their inventory is very limited. Want to start accepting bitcoin? Start today with BizWebs! 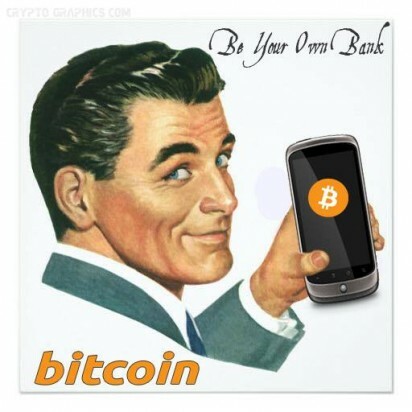 The charm of Bitcoin payment is that you can accept it today absolutely free. No permission or bank agreement needed. Just choose a wallet here and apply a Bitcoin accepted banner on your website or store location. This site contains many free promotional graphics to use which are not copyrighted and is creative commons material. Option #1. Are you BizWebs user ? Set up your new payment option in your website. Integrate Bitcoin payments into your shop through BitPay. >> Well done. New payment option is born. Accept Bitcoin immediately. Option #2. What if I´m not BizWebs user? Create your website with Bizwebs and integrate your Bitcoin payment directly in few steps. We understand what merchants are saying. It's too complicated and they are scared of some of the aspects of cryptocurrency. That´s why we decided to speed up the process and make it more transparent and easier to understand. The integration with BizWebs takes only a few clicks, as quick as making a cup of your favourite coffee. CoinBeyond says "digital payments for human people" and that's exactly the message we want to convey. For more details on how to set up your new payment option visit our FAQ section or contact us here. "It has now been eight years since Satoshi Nakamoto released his peer-to-peer digital cash system to the world, and the debate over whether or not the payment network and currency have any real, long-term value is still undecided. Having said that, some real-world use cases have emerged. Bitcoin transaction volume continues to grow year-to-year, which means someone, somewhere finds Bitcoin to be the proper way to transfer value online. "- Written by Bitcoin Magazine. Yes, each one of your online businesses is unique, so you need to weigh all the pros and cons of using bitcoin as the payment option. In a case, you go for it, just let us know. We would love to help.